We have written a lot about the process of sideloading apps on your Android smartphone. It enables to run apps, which you can’t access through the Google Play Store. Android TV is similar. You can sideload any APK file and run it quickly, which is not possible in the Playstore to run. In order to sideload an app, you first need to install a file manager. You won’t get it by default. TVExplorer is a popular file manager which has been developed for TVs rather than phones and tablets. You can get it from the Play Store. You should also grab Sideload Launcher or TV App Repo. These two apps allow you to launch sideloaded apps without going into the Settings menu. 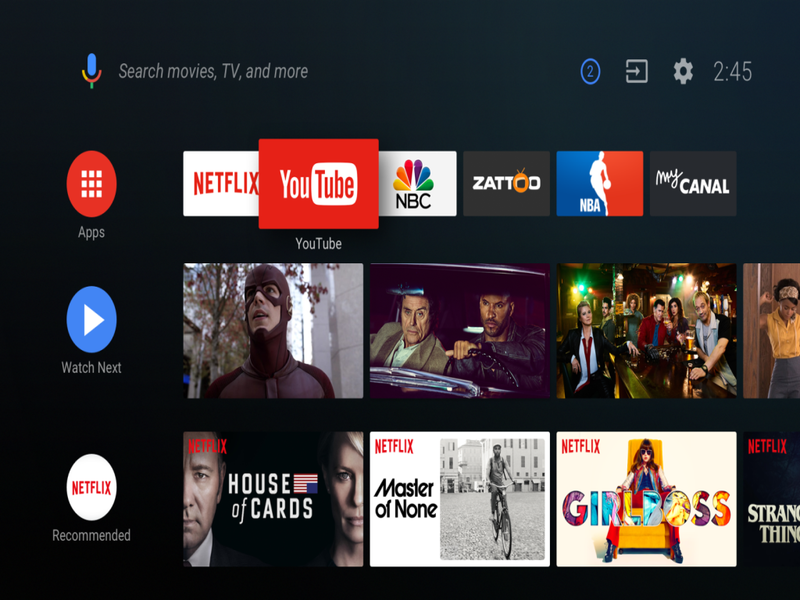 In case you’re new to Android TV, you might be disappointed to know that you can’t have the same level of access of Android apps that you can enjoy on your phone. That’s due to the fact that Android TV needs a different way of coding apps. In order to make the process easier, install Chrome onto your TV, use the newly-installed browser to navigate the web version of the Play Store. It offers a voice research feature. That means you can press the voice search button on your remote control while you’re on the home screen. It searches across all the (voice-supported) apps on your device. But you can activate the search feature from individual apps. Android TV device is not some fancy device that lets you stream content, it’s like a Chromecast built-in into your set-top box. It works automatically and you don’t need to activate anything on your TV. In order to cast content from your laptop, it needs to have Chrome installed in it. Now click the three vertical dots in the upper right-hand corner, choose Cast. Click on the down arrow next to Cast.